One of the more tragic casualties of the 1970s was Don Ellis. Emerging from the big bands of Maynard Ferguson, Charlie Barnet, and Ray McKinley, the trumpeter began releasing albums under his own name in the early 1960s, distanced from his mentors' more mainstream big band sound. 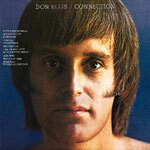 Beginning in small ensembles with free-thinking players such as pianist Paul Bley and bassist Gary Peacock, Ellis proved himself a more experimental instrumentalist, a quality he carried over to a return to larger contexts. 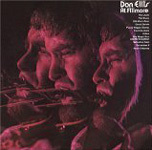 One of the first to explore the greater energy (and volume) of jazz-rock in a big band context, Elliswho used an unorthodox four-valved, quarter-toned trumpet further expanded his horizons on the undervalued classics Tears of Joy (Columbia, 1971) and Soaring (Pacific USA, 1973), combining improvisational largesse, structural complexity and unique orchestral textures, and positioned himself for even greater success. But it was not to be. Cardiomyopathy, a serious heart condition, led to his premature demise in 1978 at the age of 44. Haiku, recorded in 1973 for MPS, and reissued here with careful attention to sound and new liner notes by Ellis biographer Ken Orton, remains an anomaly in Ellis's discography. Eschewing the brighter brass sounds of his flagship orchestraas well as the paradoxical conundrum of, on the one hand, exploring innovative original material and, on the other, reworking hits of the day into pandering and cringeworthy big band chartsHaiku finds Ellis in largely lyrical territory with a core quintet and varying configurations of a 12-piece string orchestra. Some tracks work better than others, but all point to a musical mind unencumbered by convention, even as he aimed, on other albums, for greater commercial success. Surrounded by an ace group of Los Angeles playersthe effortlessly swinging bassist Ray Brown, versatile drummer John Payne Guerin, and Ellis Orchestra keyboardist Milcho LevievEllis splits guitar duties between the well-known Larry Carlton, the lesser-known but ubiquitous Tommy Tedesco, and even more obscure but also busy David Cohen. 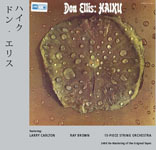 But Haiku's primary focus is on Ellis's plangent playing and writing. The ten relatively short scores, inspired by Japanese haiku (poetry written in three lines with a total of 17 syllables: 5-7-5), lean more toward the cinematic; at times impressionistic ("Water Jewel," which is reminiscent of the opening section of German bassist Eberhard Weber's classic "Colours of Chloë"), elsewhere more direct and propulsive ("Summer Rain"). Some tracks veer too close to the saccharine (the mid-tempo ballad "Mirror Pond of Stars" and over-lush "Two Autumns"), but for the most part the writing, despite its eminent accessibility, possesses greater depth under the covers. The orchestration on "Parting" leans toward a sentimental "jazz with strings," but it swings with authority, a rare feature for a Tedesco solo that combines bluesy bends with Wes Montgomery-inspired octaves. A tad inconsistent, perhaps, but Haiku still possesses more charm than syrup; an alternate, lyrical, and more deeply introspective view of the usually more boisterous Ellissignaling, perhaps, a new direction that, sadly, he'd not be around long enough to explore further. Track Listing: Children; Blossoming; Water Jewel; Cherry Petals; Forest; Summer Rain; Two Autumns; Mirror Pond of Stars; Parting; Dew. 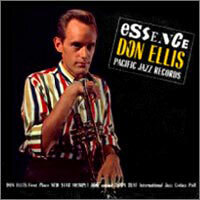 Personnel: Don Ellis: trumpet; Milcho Leviev: keyboards; Larry Carlton: guitar (2, 7); David Cohen: guitar (1, 3, 6, 8); Tommy Tedesco: guitar (4, 9, 10); Ray Brown: bass; John Guerin: drums; Israel Baker: violin; Erno Neufeld: violin; Jacob Krachmalnik: violin; George Kast: violin; George Berres: violin; Gerald Vinci: violin; Shirley Cornell: violin; Marcia van Dyck: violin; Marvin Limonick: violin; Samuel Voghossian: viola (1-3, 5-8); Alfred Barr: viola (1-3, 5-8); Dan Neufeld: viola (1-3, 5-8); Allan Harshman: viola (4, 9, 10); David Schwarz: viola (4, 9, 10); Myra Kestenbaum: viola (4, 9, 10); Raphael Kramer: cello; Frederick Seykora: cello; Ronald Cooper: cello; Catherine Gotthofer: cello. The String Quartet: Israel Baker (violin), Erno Neufeld (violin), Allan Harshman (viola), Raphael Kramer (cello).